Kindle publishing is amazing. The idea that you or I, or anyone, can upload a manuscript at no cost and have people all over the world be able to buy and read it in a matter of hours is truly a mind-blowing concept. That’s the thing to keep in mind as I regale you with my Kindle publishing frustrations. After all the hard work putting a print version of a new novel together, I yearned for a moment to sit back and enjoy a sense of accomplishment. Resting on my laurels would have been a fine thing, if I had any laurels, and if I weren’t concerned about exposing the other half of the reading public to my book. So, after four years of forgetting everything I had once learned about Kindle publishing, it was time to dive back in. It’s incredibly easy to get 95% of the presentation of a book right on Kindle. If you’re fine with 95%, you can likely publish to Kindle in your sleep. If 95% isn’t good enough, the other 5% can make you lose a good deal of that sleep. Here are some lessons I’ve learned from my recent bout with Kindle Direct Publishing (KDP). I uploaded a file that looked great on the previewer. It looked fine on the Fire, but when I downloaded the file to my old Kindle reader, some spaces had disappeared from between special characters. You don’t really know what it looks like until you read it on an actual Kindle. I have a few instances in which I use special fonts. It seems like Kindle used to be able to handle these, but now they are changed to a common font. I wanted to have a Table of Contents location to help readers navigate. The TOC location is recognized beautifully on my old 2nd Generation Kindle Reader, but is a dead end on my kids’ Kindle Fire. 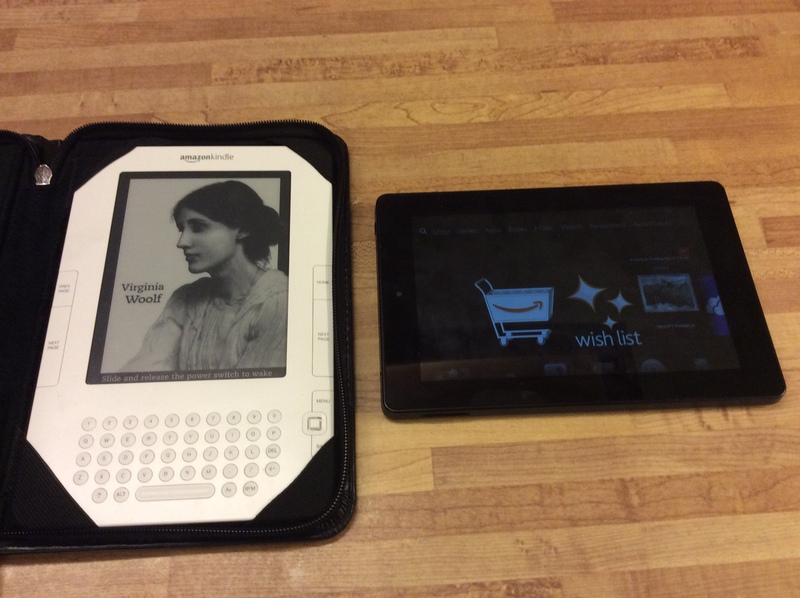 Both are Kindles, but they are very different devices. When I downloaded the free sample and opened it, it began at the place where the Kindle gods guessed the story began: Chapter 1. Unfortunately there was text important to the story prior to Chapter 1. It got skipped, leaving the reader lacking context. Yes, it’s only the free sample, but how many people use free samples to decide what to buy? And would the full book open at the same spot? (I decided to get the sample right before I even bothered downloading the whole book.) I solved this problem by uploading a new file in which I bookmarked and labeled the text preceding Chapter 1 as ‘Prologue’ and linked to it in the Table of Contents. It still doesn’t open exactly where I’d like, but at least it opens before the story begins. I got an email that my new files were published. I then downloaded a new free sample. It was still the old file. A day later, I downloaded the free sample again. This time it was the new file. At the very bottom of the email it mentions something about 24-48 hours. This is an important note that should probably be more prominent. Mostly, they’ve made it easier. But if you were expecting it to run like it used to, you could be in for some surprises. I updated the file for an old book only to discover I had uploaded an image link that was no longer necessary and had thus created a book with two covers. This was an easy fix, once I figured out what I’d done wrong. That’s just the nature of uploading files and having them automatically converted to a different format. It leaves room for a lot of trial and error. The good news is you only have to buy the book once. Then, if you want to see a later update live, you can email KDP and they will send the new file to your device. They are very responsive to emails and have answered all of mine with 24 hours. Even having learned these lessons, I am far from a Kindle publishing expert. I’m working hard to conquer that last 5%, but I’m beginning to understand that 100% right, across all devices, might be a pipe dream. The odd thing is that some things actually work out better on the older models. I haven’t even checked Kindle apps for other devices. After I build up my courage I will take a look at some of them.